Is beauty a quality of the face and the body, or perhaps of the spirit? If all three play a part, what better place of enhancement could you find than the bathtub? Cleopatra bathed in rose petals before seducing Mark Anthony. The Sultan of Baghdad’s favorite, Kadin, attributed her rise in power to the bath oil she had the court magician concoct from the fragrance of night-blooming jasmine. Catherine the Great used vodka to cleanse her skin; it acts as a perfect astringent, taking off the surface dirt to leave the skin glowing. Beware, you might get funny looks from your friends when they find the bottle of vodka in your bathroom medicine chest. But we won’t blame you for taking a sip while having a soak. Here’s a slightly more in-depth recipe, and for a girl who’s recently started a new (first ever proper) office job, I need this more than ever. 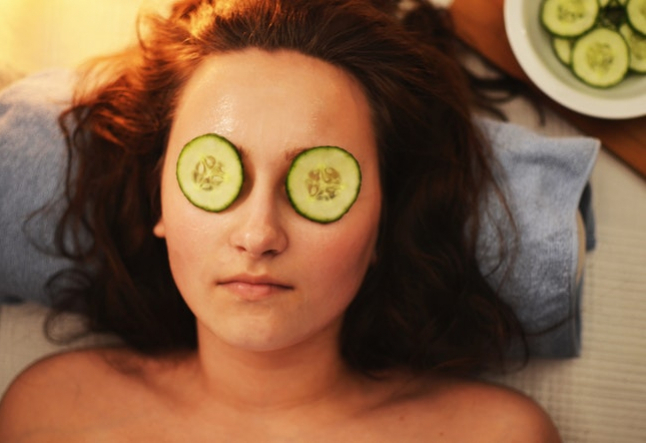 Purpose: Because of the huge volume of stress and pollution in our daily lives, it is important to take the time to properly cleanse and oxygenate our skin. When used once a month, this mask will help counteract the aging effects of environmental pollution. This is excellent for city dwellers or people who spend a lot of time in airplanes or in their cars. How to: Mix the yeast with the water until it’s gravy smooth. Apply it to your face and neck in upward strokes with your fingertips. Leave it on for fifteen to thirty minutes while you soak in your favorite relaxing bath with lavender and Roman chamomile essential oils. We tried this and felt surprisingly calmer! The scent of lavender mixed with chamomile stayed present on the skin for a while and helped with a good night's rest. The ingredients are fairly simple to find and put together - it took no time at all to mix to have this magic skin formula ready to go. Why not try this mask after a long flight or commute from the city? Your skin will certainly thank you for it.